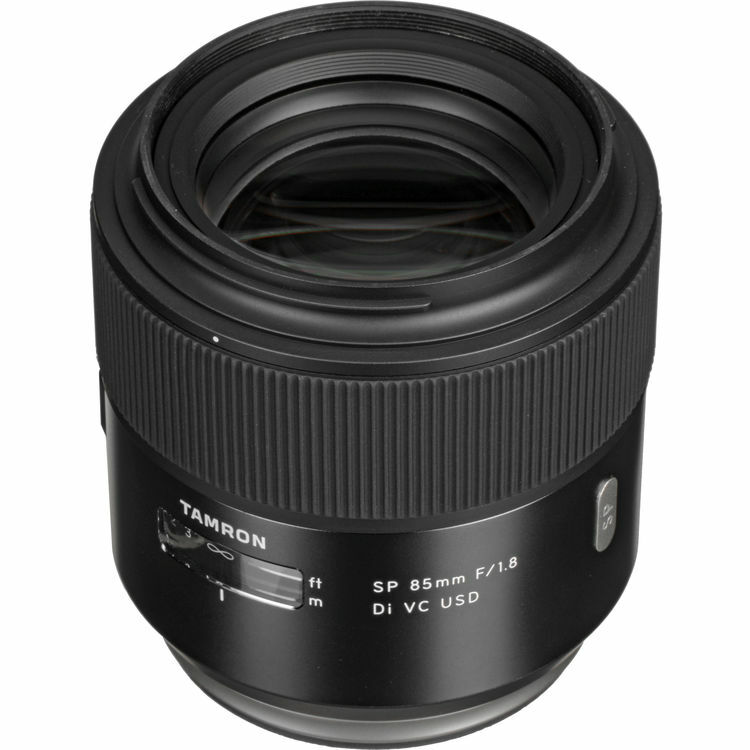 An ideal focal length for portraiture, the SP 85mm f/1.8 Di VC USD Lens from Tamron is a short-telephoto prime designed for full-frame Canon EF mount DSLRs. Incorporating one Low Dispersion element and one Extra Low Dispersion element into the optical design, this lens is adept at reducing chromatic aberrations and color fringing for a high degree of clarity and color accuracy, as well as sharpness and resolution. BBAR and eBAND coatings have also been applied to minimize flare and ghosting for increased contrast when working in strong lighting conditions, and a rounded nine-blade diaphragm contributes to a pleasing bokeh quality to benefit shallow depth of field imagery. Classic in terms of focal length yet optimized for the recent breed of high-resolution DSLRs, this portrait-length prime melds a familiar perspective with contemporary performance. 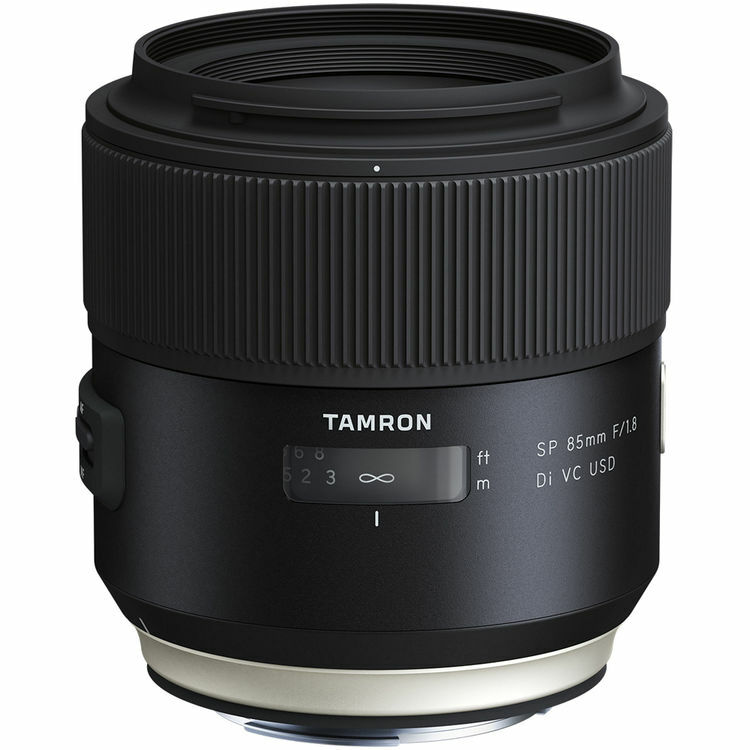 Complementing the optical assets, this lens is also characterized by Vibration Compensation image stabilization, which minimizes the appearance of camera shake by up to 3.5 stops for sharper handheld shooting. Also aiding in creating sharp imagery, a robust ring-type USD autofocus motor with an optimized USD actuator is used for noticeably fast and accurate focusing performance. 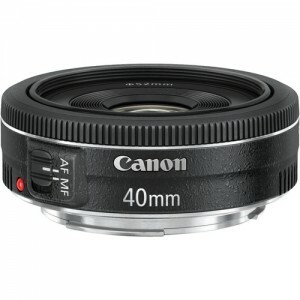 This focusing system also lends itself to full-time manual focus control for fine-tuned precision. A moisture-resistant physical construction enables its use in trying environments and the front element has also received a fluorine coating to guard against smudges and moisture from affecting image quality. 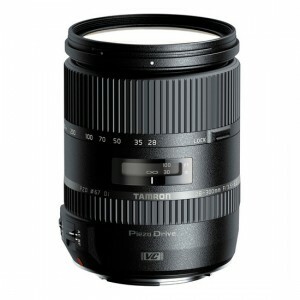 Additionally, this lens is compatible with the optional TAP-in Console for fine-tuning focusing performance and updating the lens’ firmware. 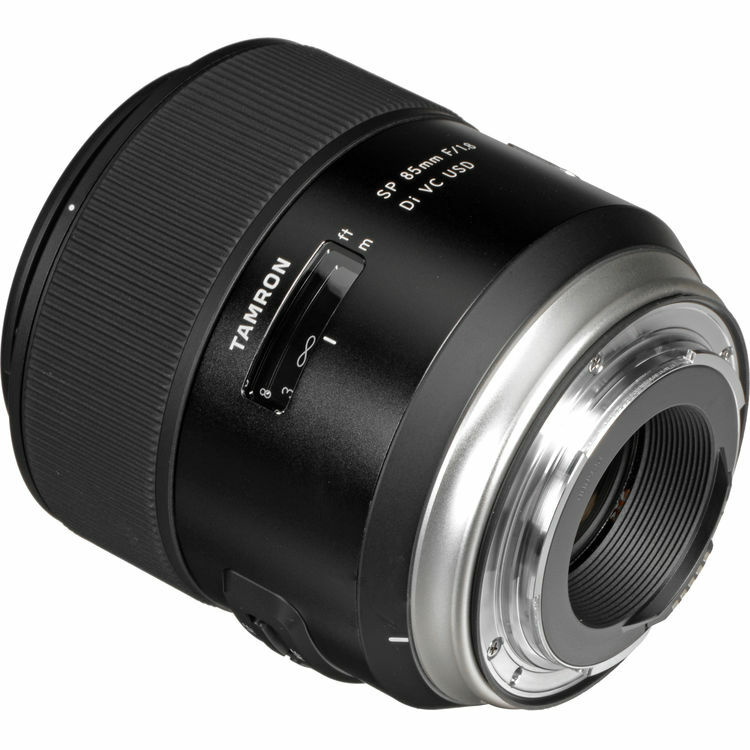 An ideal portrait-length prime, this 85mm lens is designed for full-frame Canon EF mount DSLRs, and is also compatible with APS-C models where it will provide a 136mm equivalent focal length. 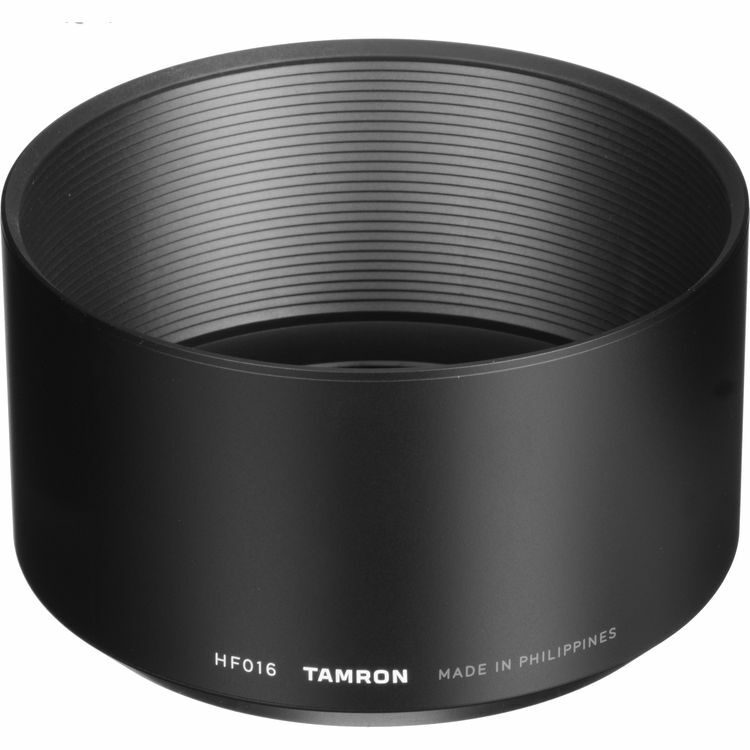 VC (Vibration Compensation) image stabilization is incorporated into the lens’ design to minimize the appearance of camera shake by up to 3.5 stops for sharper handheld shooting in low-light conditions. Compatible with the optional TAP-in Console for updating the lens’ firmware as well as adjusting focus settings via the TAP-in Utility software. SILKYPIX Developer Studio software for Tamron is included with the lens, which, aside from enabling basic raw processing and image adjustments, works to specifically correct for various aberrations, including color fringing, distortion, and peripheral light fall-off, using dedicated optical data from Tamron’s SP-series of lenses.